This web site at a glance to search and find subjects. By learning for oneself, you may discover freedom. Current findings about Florida water quality alerts for Karenia brevis, or Red Tide. Seeing the world as it may be, may have been, & could be. Too much? Need a break . . .
"For emerging out of science itself is a new vision that connects us with everything in the universe and attaches us in the web of life on earth. This scientific version of our origins is a rephrasing of what are often thought of as primitive worldviews." David Suzuki "We are part of the Web," Inventing the Future (Toronto: 1989), p. 223. 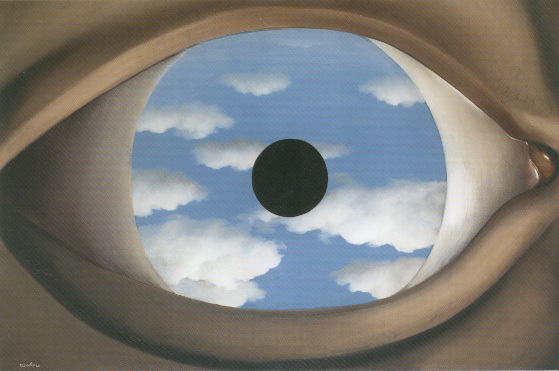 Magritte "seems to insinuate limits to the authority of optical vision: a mirror provides a mechanical reflection, but the eye is selective and subjective. . . . the viewer both looks through it, as through a window, and is looked at by it, thus seeing and being seen simultaneously." Ways of visualizing the world; science as a means of knowing. Steps to verification in science. Galileo first saw four moons circling Jupiter and was amazed by what he recorded. 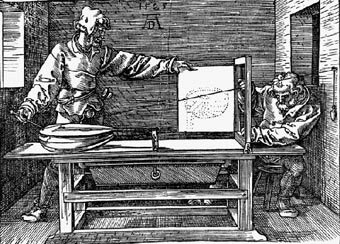 The use of mirrors and frames in Post-Renaissance art shown here by Albrecht Dürer enabled artists to depict the world in a new, more precise manner, 1525. The Cartesian coordinate system allowed formulas to be represented in three dimensional space. Evidence matters; so always have three to five pieces of evidence to sustain a point in an argument. 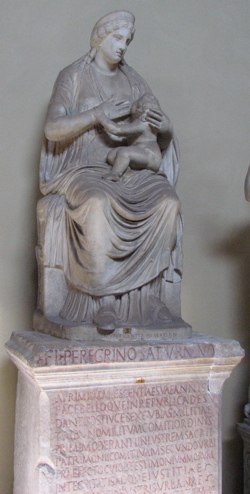 The Roman goddess Magna Mater, Rome. 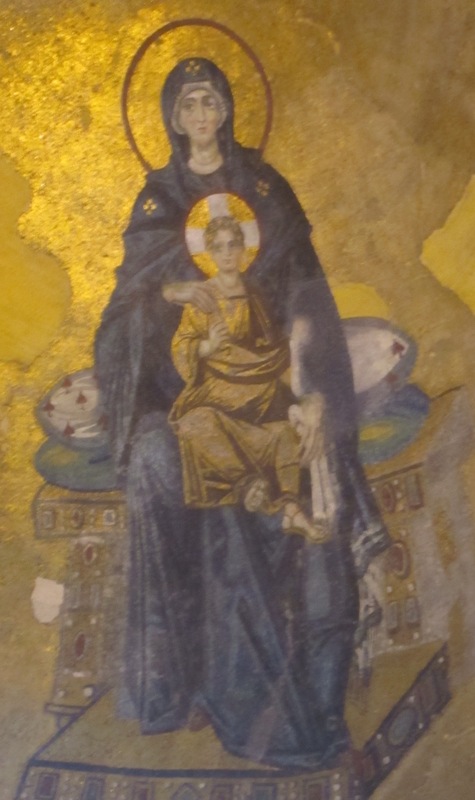 The Madonna with Child, Hagia Sophia, Istanbul. Do you notice any similarities or resemblances of the statue to the more familiar figure in the mosaic on the right hand side ? America Pink for another perspective.